Which Star Sign makes the best love match for those Born on the Cusp? Were you Born on the Cusp? Did you know that 20% of birthdays fall “on the Cusp”? 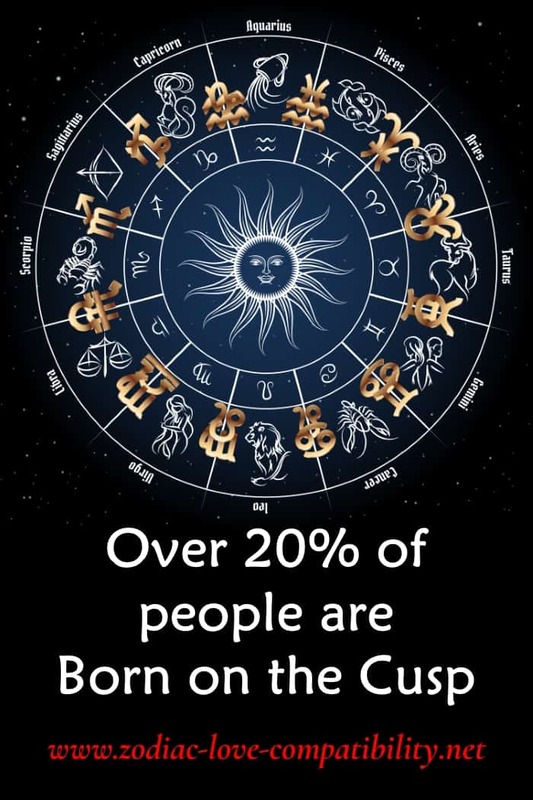 That means a heck of a lot of the world’s population are not only influenced by one sun sign but TWO! What does being “Born on the Cusp” mean? 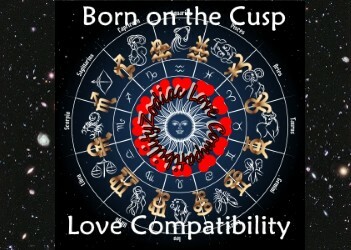 Just in case you are not sure what being “Born on the Cusp” involves, then check out this article all about Cusp Signs. 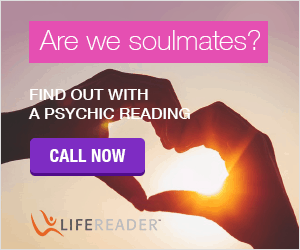 If you already know about Cusp Signs and that you are a “Cusper”, but you want to know your Sun Sign then switch to my Free Birth Chart Calculator. Those born on the Cusp will find that they have the potential to be more compatible with more Zodiac Signs than those born under the influence of a single Sun Sign. However, because us “Cuspers” (I was born on The Cusp of Taurus and Gemini) are influenced by two Sunsigns, then our personalities will be a mix of both. This can make it really hard to figure out what makes us “tick”. It makes it even harder when you are trying to work out whether your star sign is compatible with his! However, I have discovered a unique book that will help you learn more about those born on the Cusp and Cusp Sign Compatibility. 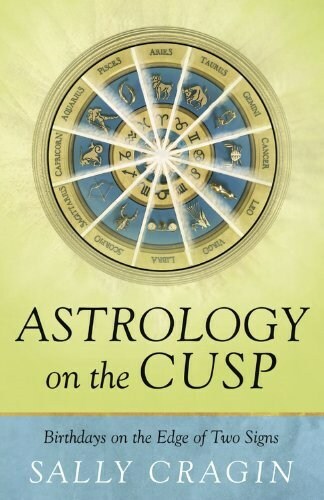 Astrology on the Cusp is the only book I have discovered that goes into a huge amount of detail about Cusp Signs. We have already seen that if a birthday falls on a date close to or when a sign changes over to another, a “Cusper” probably possesses the personality traits of both signs. This easy to read book will enable you to get a deeper understanding of you or anyone Born on the Cusp. 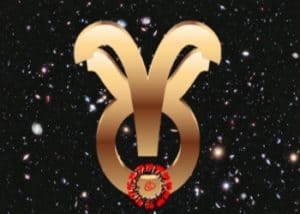 Aries-Taurus will usually find that those born on the Cusps of Taurus-Gemini and Pisces-Aries can make for a very happy bond. You will share similar values. The influence of Taurus tends to tone down the explosive nature of Aries. This means that you may find it possible to have good relationships with Aries, Leo and Sagittarius. These are all Fire Signs. This could make for a hot combination that will keep you on your toes! Relationships with the Earth Signs of Taurus, Virgo and Capricorn run the risk of getting into a “rut” . However, providing you can recognise it when it happens, then there is the potential to put things right. You may find that pairing with one of the Air Signs of Gemini, Libra or Aquarius could be extremely exciting to start with. 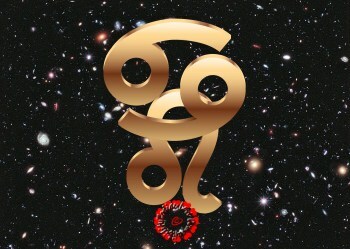 However, their tendency to move onto the “next shiny thing” could really irritate Aries-Taurus. The moody Water Signs of Cancer, Scorpio and Pisces could turn out to be stable partners in the long run. This is providing Aries-Taurus is willing to step in and try to lighten their mood by taking these home-lovers out of the house. Beware! 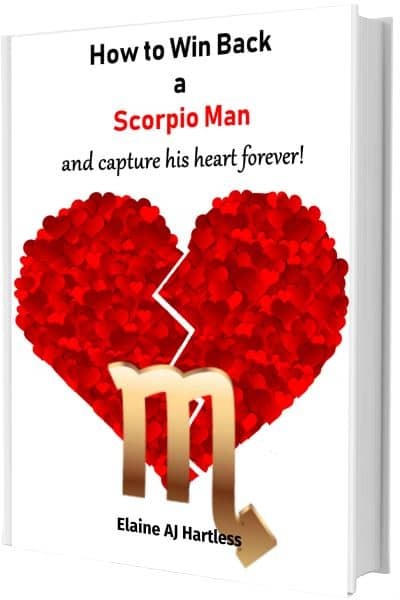 You may find a relationship with Scorpio perplexing and challenging. They never fully open up and this could leave Aries-Taurus feeling excluded and left out. The cusp signs of Virgo-Libra and Capricorn-Aquarius may work for Taurus-Gemini and although Cancer-Leo and Pisces-Aries are less likely to work, they are just possible. Relationships with Fire Signs can be lively and as a result exhausting, so Taurus-Gemini may find themselves worn out as they try to keep up! Aries, Leo and Sagittarius are the Fire Signs. However, Leo’s need to be the leader may end up clashing with The Cusp of Energy. The stubborn nature of Taurus could meet the forcefulness of Leo head on! 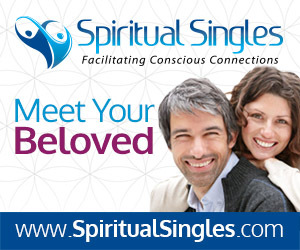 Compatibility may be possible with Earth Signs Taurus, Virgo or Capricorn. This depends on whether they have enough get up and go to keep Taurus-Gemini interested. Gemini-Taurus will find they have a lot in common with Libra. However, in general the Air Signs, which also include Gemini and Aquarius could be too flighty. The more down to earth nature that Taurus brings to this cusp combination may just be too much. The mood swings of the Air Signs could also be too exhausting! The Water Signs of Cancer, Scorpio and Pisces may be a more compatible fit as they will provide a calmer influence. However, those born towards the end of Cancer, nearer Leo, will be less needy emotionally. They are certainly more enjoyable to be with than a “full-blown” emotional Cancerian! If Gemini-Cancer is looking for fun, then it might be found with a Fire Sign: Aries, Leo or Sagittarius. 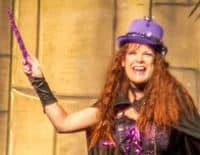 However, those born under the Cusp of Magic may find that sharing the spotlight with a Fire Sign is not easy! Aries will understand where you are coming from. Leo will find you totally fascinating. However, while Sagittarius may stay awhile, you could find the Archer swiftly galloping off into the distance! Earth Signs (Taurus, Virgo and Capricorn) may not be able to hold onto the interest of Gemini-Cancer for very long, especially if you are young. They may become more appealing as you get older and get to the stage where you find stability a more attractive relationship ingredient. The inconsistency of the Air Signs of Gemini, Libra and Aquarius make them unreliable partners for a Cusp Sign that is looking for stability. The kindness and stability desperately needed by the Cancer part of this combination is unlikely to be delivered! The problem is that one minute an Air Sign will be all kindness and understanding. Then suddenly their switch can flick and they become exactly the opposite! Gemini-Cancer will try to rationalise what happened. However, their partner will have moved on and forgotten all about it. The tempermental compatibility of Water Signs, could be just what Cancer-Gemini needs. Cancer, Scorpio and Pisces are well-known for their sensitivity and depth. This will be appreciated by The Cusp of Magic. Partnerships with an Earth Sign (Taurus, Virgo and Capricorn) may satisfy the need of Cancer-Leos to live the “good life” . In most cases, they will be happy to allow the Leo influence of this combination to take centre stage. This means that a combination of Cancer-Leo with an Earth Sign will make for a comfortable pairing. The Air Signs of Gemini, Libra and Aquarius are unlikely to provide the security that Cancer Leo needs. This means that there will need to be a time of adjustment to get used to these flighty people. However, if those born under the Cusp of Oscillation can weather this initial period, then this pairing has the potential to be rewarding in the long term. Of the Water Signs, Cancer will probably make the best fit, or a non-typical Pisces who has less of their tendency to over-indulge . 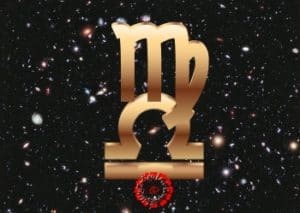 Scorpio, because they do not communicate particularly clearly, may be the hardest to crack. This is because of the Leo Cancer’s overwhelming need to know what the heck is going on ALL the time! Relationships with Fire Signs generally work with Leo-Virgos, providing all parties accept that there may be fireworks sometimes. This combination will understand each other well. They appreciate that these fireworks are a means to clear the air. The influence of Virgo can complicate matters for the Cusp of Oscillation. However, the Fire Signs of Aries, Leo and Sagittarius will help you loosen up. Partnering with an Earth Sign will be comfortable due to their reliability. However, this may not provide enough of the excitement that Leo-Virgo likes to experience. 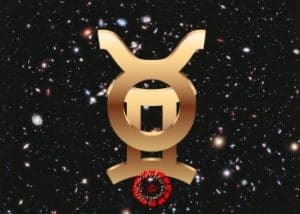 But, if you have reached a time in your life where stability and comfort are more important, then Taurus, Virgo or Capricorn may be just what you need. Gemini, Libra and Aquarius will definitely light the fire of those born on the Cusp of Exposure. They always have interesting things to say and places to go. 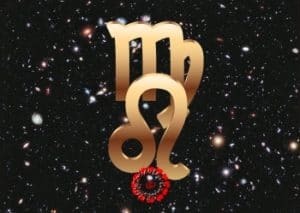 However, the inner Peter Pan lurking within Air Signs can lead to irresponsibility and Virgo Leo may find themselves having to be the responsible influence in this partnership. The understanding nature of the Water Signs of Cancer, Scorpio and Pisces may be appealing at first, but it could lead to irritation. Leo Virgo likes to be on the go and try something new. They won’t want to wait for a Water Sign. This is because they think things through while sheltering in their comfort zone! The Virgo-Libra Cusp sign is one of the most flexible when it comes to astrology love compatibility and can be an excellent match for many Sun Signs. They are thoughtful, curious and graceful and will want to find out what they have in common with everyone. When it comes to other Cusp Signs compatibility will be found with Taurus-Gemini and Capricorn-Aquarius. Dynamic and unpredictable, the Fire Signs of Aries, Leo and Sagittarius may be fun at first as they sweep you off your feet Virgo-Libra. However, as you come to realise how unstable they can be, you may start to think twice. Because Aries is one of your opposite signs, you could feel a strong attraction. Stability (both emotional and financial) and fun will be found with the Earth Signs of Taurus, Virgo and Capricorn. This is because they share an appreciation of the more finer things in life with Virgo Libra. Earth Signs will also be comfortable with the more practical side that Virgo brings to this Cusp combination. The more Libran characteristics will come to the surface in a partnership with a fellow Air Sign. This could lead to indecisiveness. This is because none of the signs of Gemini, Libra or Aquarius will want to take the lead for fear of causing offence. The Water Signs will have a calming influence on Virgo Libra when they get overwhelmed or agitated. Cancer, Scorpio and Pisces will be keen on seeing you take some “me time”. In turn those born on the Cusp of Beauty will have a positive influence on the tendency of Libra-Virgo to be moody. Hello, i was born on June 11th, 92 and for most of my life always seem to relate 75% to the Cancer zodiac and 25% gemini . Now dating a virgo-libra cusp , we believe in the zodiac and notice we are magical for some time then the other i feel like when in gemini mood its the worst relationship ever. What should i go with when it comes with which sign to follow? Im so all over the place due to feeling of not being able to identify my birth given traits…. ? Sonja, I doubt that Gemini has any influence on your Sun Sign. However, I suggest you put your date, time and pace of Birth into this free Birth Sign Calculator and see if any of the other Planets were in Gemini on the day you were born. 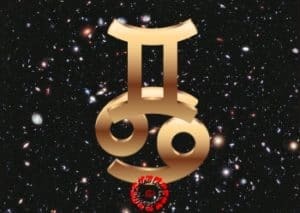 Hi , i was born at 9:30 on May 24 1984 , I was wondering what my true sign may be as I have always been told I have both traits of Taurus and Gemini ? Hi Jason. Your sun sign will most definitely be a Gemini, but Taurus will still probably be an influence. Click to find out more info about Taurus-Gemini Cusp Signs.